The Custom Brackets Digital PRO-SV Bracket Kit is the studio version of the Digital PRO. 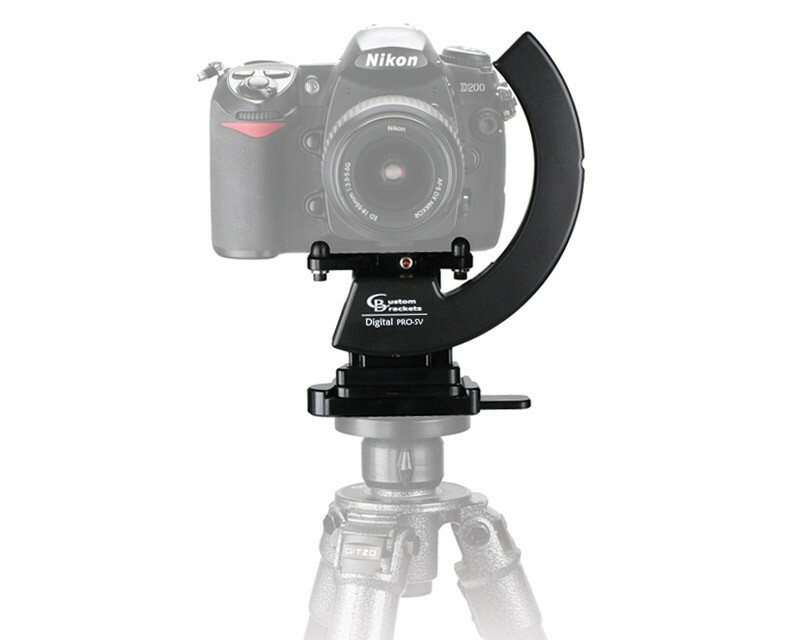 It is the ideal choice for use with digital SLR cameras that stay mounted on a tripod, e.g. in the studio. It allows the photographer to rotate the camera vertically and horizontally quickly and easily in studio settings. When using studio strobes or continuous lighting, the Digital PRO-SV Bracket on a tripod is a perfect match.